Accessory handset only. Requires the VTech CM18445 main console to operate. 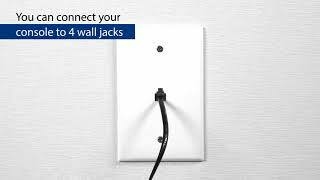 Compatible with anywhere from one to four telephone lines. 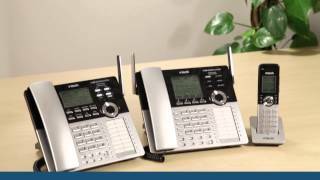 The deskset and cordless handset use this superior-quality technology, which provides strong protection against wiretapping and the best call range while not interfering with wireless routers. Plus, it makes installation a breeze. 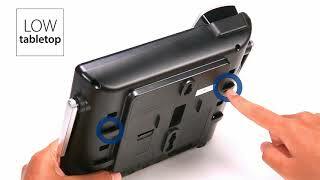 Simply connect the power cord and push the registration button on each device. Displays the name, number, time and date of incoming calls. Stores up to 10 phone numbers for easy dialing. Each telephone system requires one, and only one, CM18445 Main Console, which supports up to 9 accessories, including: CM18245 Desksets, CM18045 Handsets, IS6100 Headsets and TL80133 Speakerphones. 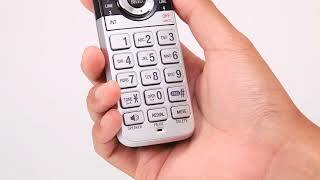 Please purchase the CM18445 Main Console before you purchase any CM18045 Handsets.